Bullitt County Farm Bureau members were represented at the Kentucky Farm Bureau Legislative Drive-In on March 7 in Frankfort, KY. This day gave the Farm Bureau leaders the opportunity to visit directly with state senators and representatives at the state capitol. 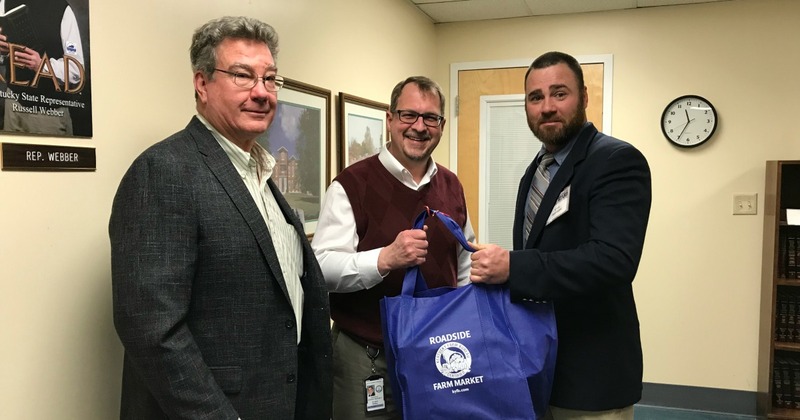 Also, it gave the Farm Bureau leaders the opportunity to celebrate the Food Check-Out Day with the legislators by presenting them a basket of Kentucky grown agricultural products. 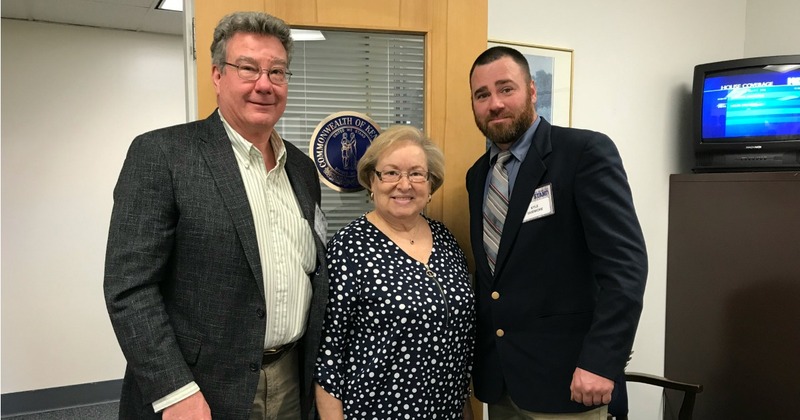 Bill Harned and Kyle Skidmore met with Representative Russell Webber and Representative Linda Belcher to discuss issues and policies with them.